Fully Automatic Concrete Block Production LineQGM is a professional concrete machinery supplier. We can provide a wide range of block making machines (brick making machines), concrete batching plants and concrete pipe making machines etc.. 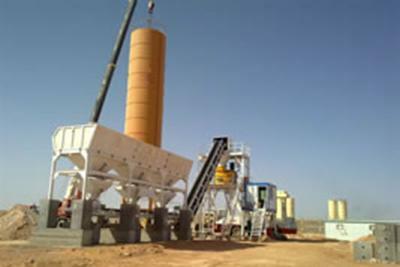 Welcome to choose our concrete machinery. Semi Automatic Concrete Block Production Line, with Central Control RoomBesides automatic block making machine, as a professional concrete equipment manufacturer, QGM can also provide concrete mixing plant, concrete pipe making machine and curbstone making machine etc. Simple Concrete Block Production LineAs a concrete equipment manufacturer, we can provide not only concrete block making machines (brick making machines), but also concrete batching plant, curbstone making machine and concrete pipe making machine etc. Quangong Machinery (QGM) is a trustworthy concrete block machine manufacturer founded in 1979. We offer customers various block machines that can process different materials like cement, cinder, cobble, dirt, and ceramics. These materials are formed into concrete blocks, cinder blocks, cement bricks, and road curbs by simply changing out molds. QGM is a global block machine producer and we have acquired Germany Zenith Block machines, and a concrete block mold maker in Austria. All QGM team members around the world are dedicated to offering high quality block machines with outstanding services to customers.